Discussion in 'Minecraft' started by Twiistrz, Nov 4, 2018. 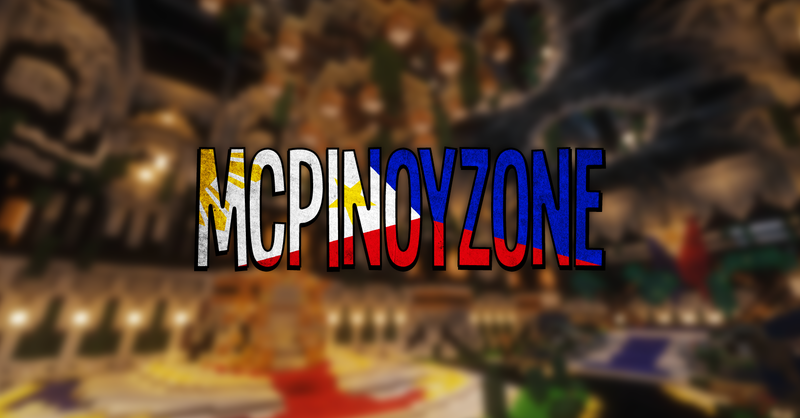 MCPinoyZone is a Philippines-Based Cracked Minecraft Server which provides high-quality, fun, and fulfilling gaming experience for all kinds of players not only within the Philippines, but also within the South-East Asian Region. to ensure that respect, fair play, and discipline will be instilled in every player on the server. We currently offer two (2) game modes, a Faction and a Towny server, both of which have been developed to be fun but challenging. Many of the game mechanics implemented have been adjusted to ensure that every player would be given equal footing and that perseverance and commitment will always be rewarding for the players. So if you like having fun while also being challenged, we highly recommend you to join our server to see what we can offer. Join us now at play.mcpinoyzone.com version 1.12.2. We are very strict regarding to our in-game rules also comes with active staff and community. madami bang pinoy na naglaalro ng minecraft? There is a general consensus within the community that due to the surge of new genres of games within the gaming industry, there are relatively fewer Filipino Gamers playing Minecraft. Our server currently peaks at ~30 players a day, with around 96% of players being Filipino.